I hope you do not mind but I have 'played' with this lovely photo. If you would prefer me not to do this , just say. As Sharon (sassy) says the snow is blue. 1) Adjust> Colour Balance> move the slider to warmer. I cloned out the branch behind the sledge. I put a border and signature for fun. PS - I like snow...................when I am indoors in the warm!!! Of course I do not mind... I like it. I hate snow unless it is in the mountains. I love this photo and the rework is great. The colours are brilliant. 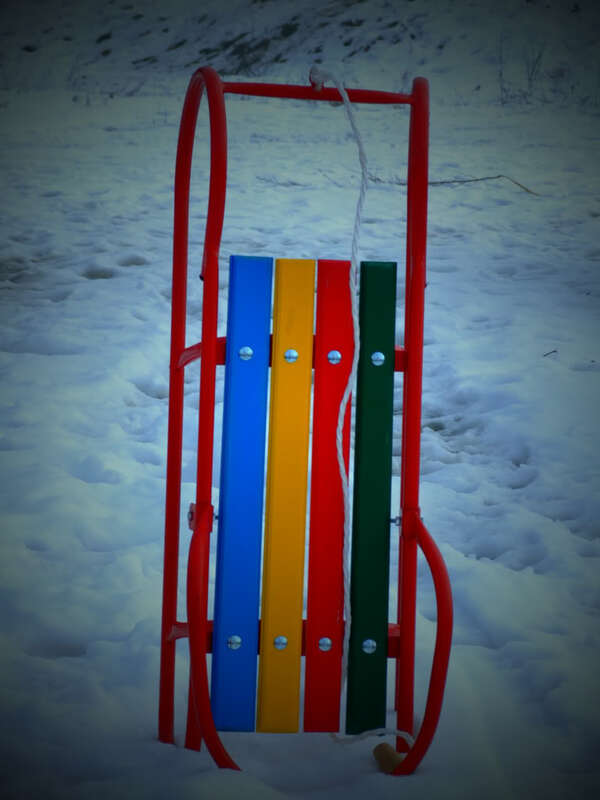 I remember having a Sledge very similar to this one as a child.